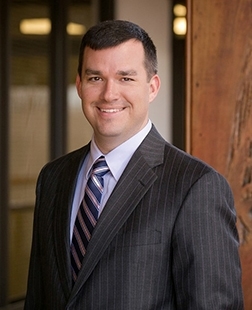 Justin Langlois, CCIM launched SVN | Graham, Langlois & Legendre in 2014. Prior to joining SVN, Justin owned a commercial real estate brokerage firm and property management company in Baton Rouge, Louisiana. He specializes in the acquisition and disposition of Class A office and multifamily properties and is also very active in retail, self-storage, land and industrial brokerage. He is a member of the SVN Office Council, SVN Medical Office Council, SVN National Student Housing Group as well as the SVN Multifamily Council. Can you tell me a little bit about your business? What do you specialize in and what does your day to day schedule look like? Justin: As the Managing Director, I am responsible for overseeing the company and I am also an active broker. I specialize primarily in multi-family properties, but since our local market has less than a million people I also do office and retail deals as well. I developed my day to day schedule and routine from the book “The 12 Week Year” by Brian Moran. On Monday’s, Wednesday’s, and Friday’s I tend to dedicate the bulk of my time in the mornings to working on company stuff, then from about 9am to 11am I work on my listings and current deals, and I spend the afternoons making phone calls since that’s when most managers and clients tend to be available to take a call. On Tuesday’s and Thursday’s I like to get out of the office to go see properties and meet with people. If you haven’t read the book, I highly recommend it as a way to structure your business routine. How has your experience been with ClientLook CRM? Justin: I started using ClientLook CRM in 2014 when I joined SVN and my experience has been great! Over the years we have learned a few tricks that Nathan Hall has showed us, and it has helped our office keep everything organized exactly how we want it. As part of the on-boarding experience in our office, I have our new brokers add contacts and properties to get used to using ClientLook. I like that ClientLook provides webinars, videos, and tutorials online so new brokers can easily find the information they need to get up in running quickly. ClientLook does a great job at teaching both new and seasoned brokers and the training we’ve received has been top-notch. How easy was it to get your data converted into ClientLook? Justin: I was able to get all my data into ClientLook easily. Prior to using ClientLook I was not using a CRM, so my contacts were all in Gmail and my deals and properties were in spreadsheets. I handled getting everything set up myself, and it was simple to export and import my data. What problem has ClientLook solved for you? Justin: Our office currently has 20 commercial real estate advisors, and we all use ClientLook. I like that I can log-in anytime, from anywhere, and see updates that my team has entered. ClientLook makes it easy for us to track our contacts and our deals, and I know the status of every deal that’s going on in the office. It saves me a ton of time! Why did you choose ClientLook? Justin: I like the fact that ClientLook feels like a small business; that we can reach out to direct contacts at the company, and that we didn’t have to spend weeks learning how to use it. We prefer a more simple approach, and ClientLook provides everything we need. I like that I can reach out to Michael Griffin and Chuck Cutler; they treat us well and always help with on-boarding our new brokers. ClientLook provides a huge value to our company. What features do you like the most about ClientLook? Justin: The Virtual Assistant is the most time saving tool I have ever used. It is so helpful. I also really like the client reporting feature since I can send a link directly to clients for them to access their property and deal updates. The iPhone app is great; I can add updates from my car when I’m out and everything always stays together in one place. We also use Buildout and the integration with them gets rid of the redundancy since everything links together. I like that I can quickly tie a property to a contact, and I look at my deal sheet all the time to see where I am with each deal and how to keep them moving along. I also want to mention that I have seen a direct correlation with the guys in my office who make a lot of money and use ClientLook. There’s value in seeing deal amounts and commission values tied to each transaction. The guys who are using ClientLook consistently are the ones who are making more money and are having more success in this business. How would you describe your overall experience with the ClientLook team? Justin: Everything has been great! Calls or emails are responded to quickly, we never have to wait long for a question to be answered, and the ClientLook team makes everything easy. Recently we added a new broker to our team who had a ton of contacts. Adding him to our team in ClientLook and getting him set up was so simple, thanks to Nathan Hall who walked us through the entire process.